Belfast. During the months of January, February and March, MFT Gallery will be exhibiting two different collections of farm animal portraiture. On the ground floor, visitors can enjoy a whimsical collage of photo prints, submitted by Maine Farmland Trust’s members and followers: personal snapshots of favorite farm animals by farmers and farm lovers all around the state. On the second floor, MFT Gallery will be showing Catherine Frost’s “Faces of Farms,” a collection of professional portraits of farm animals. Throughout 2015, Catherine traveled to Maine farms all across the state, visiting those with unique livestock. From Cherryfield to Freeport and Nubian goats to Norwegian Fjords, each photo session featured unique faces of farms, seen through a lens of deep appreciation and respect for the animals. 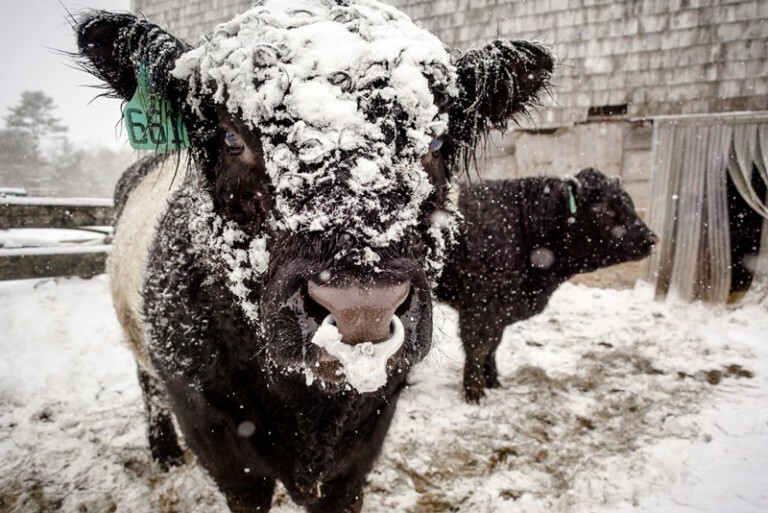 Frost produced a monthly photoblog which was shared through Maine Farmland Trust’s social media throughout 2015. Selected favorites are featured in this exhibit. Frost is an avid animal, outdoor and photography lover. Her vocation is to provide creative and marketing services to small, socially responsible companies that are lead by passionate entrepreneurs. She has worked with several Maine farmers including North Star Sheep Farm (Windham), Balfour Farm (Pittsfield), Aurora Mills and Farm (Linneus) and Norumbega Farm (New Gloucester). Her home is in Freeport, where she lives with her dog, Daisy.